There’s only one week left until Care Roadshows comes to Birmingham. 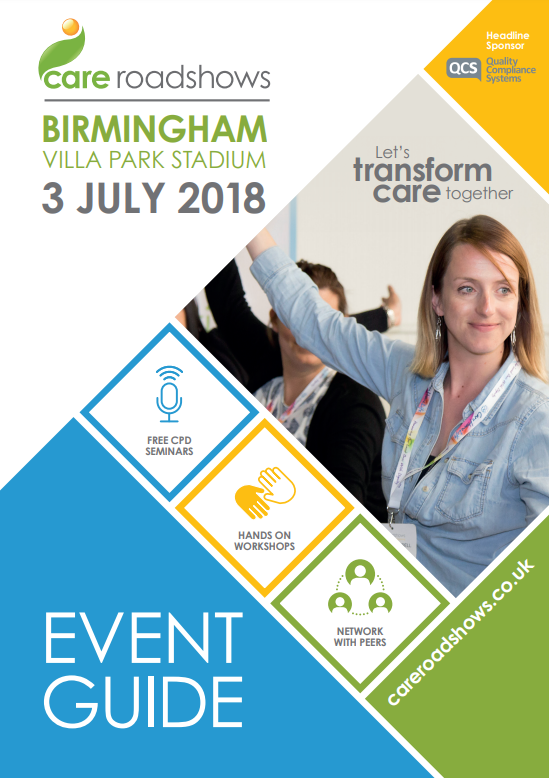 Opening its doors on Tuesday 3rd July at 9.30am, the free event will take place at Villa Park Stadium for the third time, welcoming a variety of care suppliers and professionals to the venue. The day will feature a packed seminar programme with informative talks from the likes of the Care Quality Commission, Ladder to the Moon, Quality Compliance Systems and Endeavour Care Training. Visitors will also have the chance to get hands-on in the art workshops ran by Creative Minds, which will run twice throughout the day in the morning and afternoon. If you haven’t yet, be sure to register for your free ticket today! For further information about the show or to help plan your day out, download our Event Guide. Forbo announces DSDC accredited products Win a Fitbit with Courtney Thorne at Care Roadshow Cardiff!